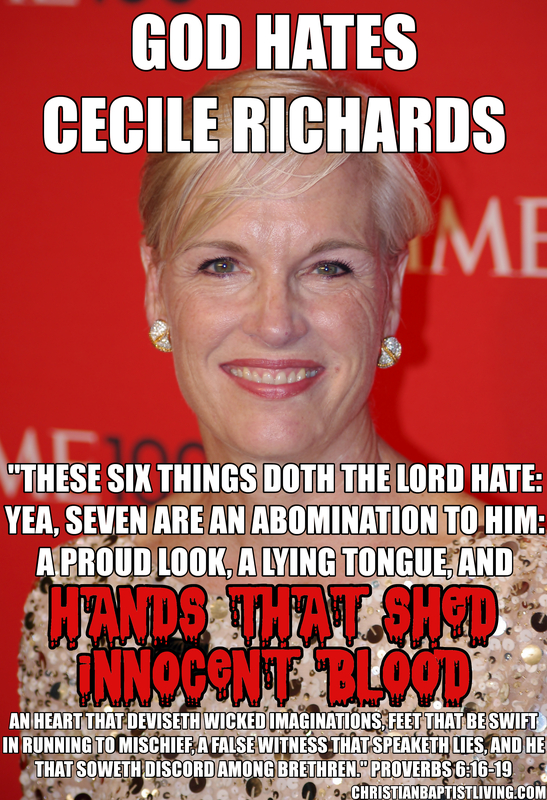 Since Cecile Richards became the president of Planned Parenthood in 2006 she has been responsible for the murder of millions of unborn children. 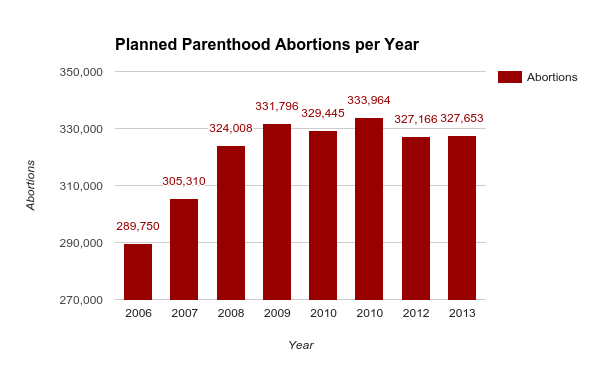 From 2006-2013, while Cecile Richards has been president, Planned Parenthood performed 2,569,092 abortions. In Proverbs 6:16-19 it says that God hates “hands that shed innocent blood.” However, not only does God hate those that shed innocent blood, they are an abomination to Him. Some people say that God does not actually hate people but that he only hates their sin. However, there are several passages in scripture which reveal that God does hate the wicked.